I have been testing a few newly launched beauty bargains from Aldi's Beauty Lacura range over the last couple of months. I'll be honest, I wasn't expecting much due to the low price but I have been pleasingly surprised! I am super impressed and they are comparable with more expensive premium brands on the market. 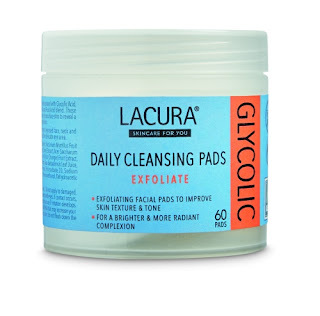 Aldi Beauty Lacura Glycolic Acid Exfoliate Daily Cleansing Pads are formulated with Glycolic Acid, a powerful Alpha Hydroxy Acid (AHA) and Fruit Acid blend. These radiance boosting pads help retexture and resurface skin to reveal a brighter and smoother looking complexion. 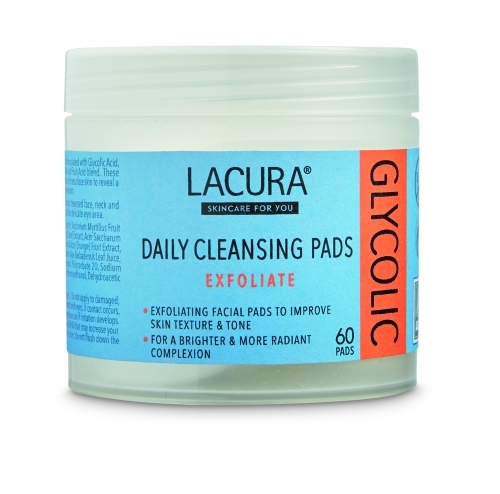 These new cleansing pads have been inspired by leading beauty brands and cost just £2.49 for a tub of 60 pads and compared to similar Nip and Fab Glycolic Daily Cleansing Pads, they cost 80% less which is a steal! I highly recommend these for super smooth soft skin which creates the perfect makeup base. Even more impressive is that Aldi's Lacura range is Leaping Bunny certified, meaning their products are not tested on animals and are cruelty free. 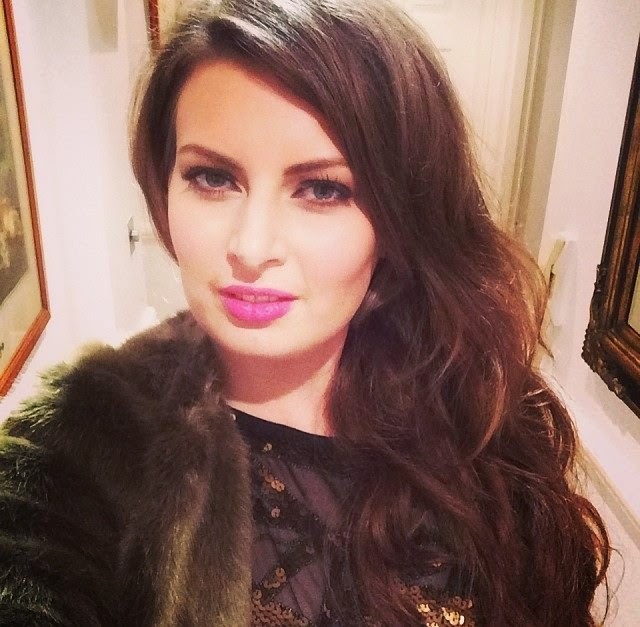 Have you been impressed with Aldi's beauty offering?